Though a series of online training, including videos, reading & response queues, homework “assignments,” and practice teaching, Katherine will train you in advanced YFG methodologies. Each Level 2 online participant will receive a YFG Level 2 Instructors Manual with approx. 65 pages of information on the golf swing and the YFG yoga par/birdie sequence along with proprietary training videos using state-of-the-art internet tools. Online participants also have the ability to ask unlimited questions of Katherine throughout the online training program. Learn advanced pose and cuing adjustments, including advanced strategies for pose modifications to maximize each golfers’ success. Learn how to incorporate PNF stretching to enhance the golfer’s active and passive range of motion, optimizing their total motor performance. Deepen your understanding of the 8 limbs of yoga and the correlation to golf performance. Learn the concepts of gravity, ground reaction forces and mass & momentum – how they positively impact the body through the golf swing. Deepen your understanding of advanced breathing anatomy. 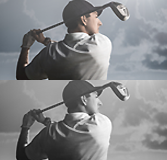 Learn the effects of vision and proprioception - and their relation to optimal golf performance. 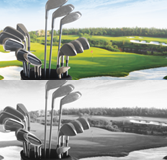 Understand and practice the ability to teach advanced YFG methodologies to a diverse group of golf populations, including advanced sequencing for 30 and 45-minute classes. Learn advanced business and marketing strategies to capitalize on the growing YFG brand and YFG professional golf relationships. Significantly expand and deepen your YFG knowledge and practice. 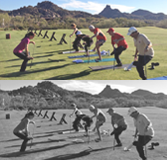 Increase your eligibility for Yoga For Golfers ONSITE! Program. Further differentiate yourself in the marketplace. Maximize your business & revenue stream. Inclusion in the Katherine Roberts’ YFG Online Instructor Directory, Level 2 designation – a great source for prospective new clients and referrals. Online YFG certification includes a review of 12 YFG Instructional videos, completing a Q&A, a teaching practicum, and a final written examination. 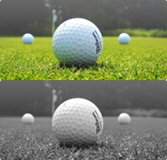 Upon registration, you will receive a PDF of the Yoga For Golfers® Level 2 Instructors Manual (approx. 65 pages) and links to twelve (12) pre-recorded videos. Progress through all 12 videos with corresponding assignments that will be reviewed by Katherine who will provide feedback to you. Complete an instructional sequence based on your choice of two scenarios. 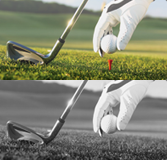 Complete a Teaching Practicum Assignment based on a specific and unique golfing challenge, you will develop and sequence an appropriate YFG methodology that effectively addresses the golfing challenge presented. You will then teach your sequence via a teaching video or a hands-on Skype session. Your teaching practicum will be assessed and evaluated with invaluable feedback provided. I must attend, fully participate in, and successfully complete a certification course (Instructor Certification Program) presented by YFG, as more fully described in the course description materials available on the YFG website at www.yogaforgolfers.com. Attendance in the Instructor Certification Program and completion of program requirements will not assure that I receive Certification. Whether I have successfully completed the Instructor Certification Program will be determined by YFG (or its designees) in its sole discretion, based on my demonstrated command of the skills necessary to teach Katherine Roberts’ Yoga for Golfers® classes. I acknowledge and agree to the inherently subjective nature of this determination. I am aware that this Instructor Certification Program with Katherine Roberts is intended to provide me with more knowledge of yoga. I understand that the practice of yoga involves movement, stretching and exercise that may from time to time be extensive and strenuous and that there is consequently some risk of injury. I also understand that the program will be mixed level and I am responsible to judge my own capabilities with respect to practicing during each yoga class. By my participation in this Instructor Certification Program, I agree to take full responsibility for not exceeding my limits, and for any injury I might suffer during the practice of yoga. I represent and warrant that I am physically fit and I have no medical condition that would prevent my full participation in the Instructor Certification Program. I acknowledge that it is my responsibility to ascertain, by consulting with a physician, that there is no medical reason to prevent my participation in this Instructor Certification Program. I also acknowledge that it is my responsibility to inform the instructor when I begin each class of any physical limitation, injury or other condition that might affect my ability to participate and to inform the instructor immediately if any injury occurs during the class. I waive and release any claim that I might have at any time for injury or damages of any sort against Katherine Roberts, Yoga for Golfers® or Northstar Coaching, LLC, or any person or entity in any way involved therewith. I will be certified for a period of one (1) year, beginning on the date of issuance of my Certification, called my Certification Period. During my Certification Period, I am entitled to teach yoga classes in the proprietary method and style owned by YFG, called the YFG System. During my Certification Period, I may refer to myself as a "Katherine Roberts’ Certified Yoga for Golfers® Instructor." For each successive year that I wish to extend my Certification, I must successfully complete ten (10) hours of continuing education courses designated as such by Katherine Roberts’ YFG. A Certified Instructor Continuing Education (CE) Course is a yoga class, session, workshop, lecture, retreat, or webinar taught by YFG or its designee, and designated by YFG as being an Instructor Continuing Education (CE) Course. Successful completion, which shall be determined in YFG's sole discretion, of ten (10) hours of Certified Instructor CE Sessions within my 1 year Certification Period, shall entitle me to one (1) additional year of certification from the end-date of my current Certification Period. I will maintain my listing on the online directory of active Katherine Roberts’ Certified Yoga for Golfers® Instructors at yogaforgolfers.com. I will notify YFG within thirty (30) days of any change in my contact information, including street and email address. Failure to meet either of these requirements may result in the immediate expiration of my Certification. Certification does not entitle, nor qualify, me to train, teach, or give instruction to others in connection with, or towards completion of, the YFG Instructor Certification Program, Continuing Education Courses, or any portion or derivative thereof. I understand and agree that I am prohibited from training or attempting to train anyone in how to teach the YFG System to others. I am expressly prohibited from teaching the YFG System, and I will no longer use any Yoga for Golfers® Materials or the Trademarks, nor may I use the designation, or hold myself out as, a Katherine Roberts’ Certified Yoga for Golfers® Instructor. YFG SHALL HAVE NO LIABILITY TO ME AS A RESULT OF, OR ARISING OUT OF, THE YFG SYSTEM, THE INSTRUCTOR CERTIFICATION PROGRAM, OR ANY SERVICES PROVIDED BY YFG, INCLUDING ANY LIABILITY FOR NEGLIGENCE. As a material inducement to admit me to the Instructor Certification Program, and a material factor in the determination of the tuition charged therefor, I hereby waive any and all claims, and agree not to hold YFG, including its owners, managers, employees, agents, representatives, successors, assigns, partners, and instructors, responsible for any injuries, or other damages, suffered by me or any loss which I may incur that is caused in whole or in part, may arise, occur, or be attributable to: (1) a breach of any representation, warranty, or promise made by me;(2) any misstatements made by me;(3) my failure to follow the instructions of my instructor(s);(4) my failure to disclose in writing any physical impairment or condition of mine;(5) my inability or failure to satisfactorily complete the Instructor Certification Program or any Certified Instructor Continuing Education Session;(6) the courses offered and standard of instruction;(7) interruption or termination of the Instructor Certification Program or any Certified Instructor Continuing Education Session due to illness, acts of God, civil unrest, terrorism, or any other unforeseen circumstances;(8) any accident, injury or loss that occurs off of or outside of the physical premises of the Instructor Certification Program or any Certified Instructor Continuing Education Session;(9) the negligence of YFG, or its employees, agents, representatives, successors, assigns, partners, and instructors;or (10) my participation in the Instructor Certification Program or any Certified Instructor Continuing Education Session. Any dispute concerning terms and conditions set forth above will be resolved in accordance with laws of the State of Arizona, without regard to its principles of conflicts of law. Any action I, any third party, or YFG brings to enforce this Agreement or in connection with any matters relating to the YFG System shall be brought only in either the state or federal courts located in Maricopa County, Arizona, and I expressly consent to the jurisdiction of said courts. The prevailing party in any dispute concerning this Agreement shall be entitled to recover from the other party its reasonable attorney's fees and costs. If any provision of this Agreement shall be unlawful, void or for any reason unenforceable, then that provision shall be deemed severable from this Agreement and shall not affect the validity and enforceability of any remaining provisions. I have read, understand, and agree to the Terms &Conditions of the Katherine Roberts’ Yoga For Golfers® Instructor Certification Program.